Are Nissan Murano Lease Deals near Laplace, LA, Right for You? Many drivers near the Laplace, LA, area ask if Nissan Murano lease deals are right for them. However, there is no one easy answer for everyone who asks this question. In fact, every driver needs something different out of their vehicle, so it really just depends on your specific situation what is the smartest decision for you to make. Therefore, you need to really think about what you need from your vehicle and how you want to pay for it before you decide to lease or buy a car. Take a look at some of what you can expect from a lease, and it may help you make a choice between these options. When you opt for Nissan Murano lease deals, you are going to love the fact that you are getting into a brand-new ride. You get all the newest technology and safety features, and your new car will look amazing on the road. And since your lease term will likely only last around three years, you can keep getting something new time and time again. This gives you the opportunity to try out a wide range of cars, and it ensures that you’ll always love the vehicle you’re driving. Another benefit of choosing Nissan Murano lease deals is the fact that you have fewer ownership responsibilities to deal with. For example, you won’t have to worry about simple maintenance tasks as much because the dealership will likely handle some of them for you. On top of that, you’ll never have to worry about selling or trading your car in. You can simply take it back to the dealership and get something new in its place. While Nissan Murano lease deals do offer a host of benefits, they aren’t perfect. You will have to deal with some serious restrictions on what you can do with your ride. For example, you may not be able to drive over a certain number of miles each year without paying a fine, and you certainly can’t make any changes to your ride. After all, you don’t own it, and you’ll have to take it back to the dealership at some point. 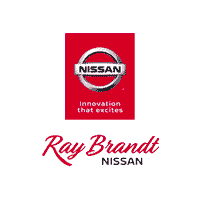 Now that you know all about what you should expect when you lease from a dealership near Laplace, LA, you can decide whether you want to buy or lease when you come visit us at Ray Brandt Nissan.